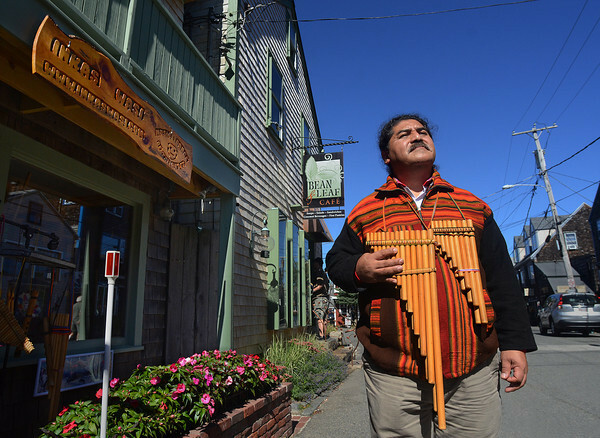 Sergio Espinoza, a native of Peru, stands beside his business, Inkas Wasi, at 10 Bearskin Neck in Rockport. Sergio is a musician who plays the siku, a traditional panpipe from the Andes region of South America. He specializes in Peruvian hand crafts and artwork. "Inkas Wasi" means "home of the Incas."